Top Housing's experience in camps & compounds goes back to the early seventies. 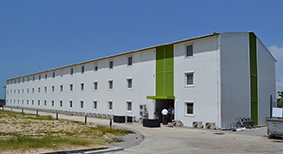 To date we have supplied permanent buildings, plant and camp facilities to emerging markets in Africa, the CIS, Asia and even the Antarctic. Our extensive range of designs and layouts have been adapted and improved along the way, now suiting all possible climates and ambient conditions. 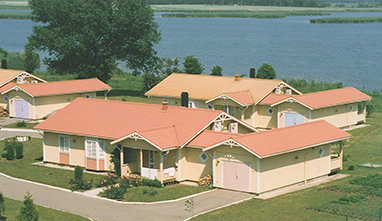 A typical camp delivery from Top Housing includes accommodation units, kitchens, dining halls, recreational facilities, laundries, medical centers and camp offices. We comply with the often rigid security requirements, incorporating the latest technology. On site, our supervisors and technical engineers work in close cooperation with the customer, end-user and local contractor. 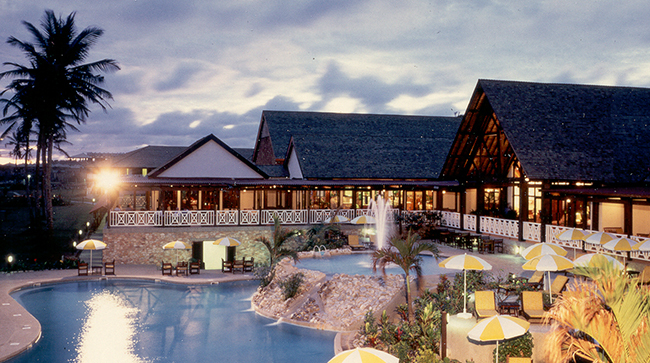 Top Housing is a well-reputed supplier of quality pre-engineered hotel buildings. A variety of pre-engineered hotel complexes up to three floors and with a high international standard have been executed with Top Housing pre-engineered systems. We cater for all the needs of a modern hotel facility, from large-scale kitchens, dining & laundry equipment down to linen and toiletries. Mechanical & electrical functions are provided for, comprising extensive plumbing and sanitary installations, TV, data and telecommunications. Central heating, water purification, auxiliary generators and any kind of special requirements are adhered to, always in close cooperation with the local contractor (and future hotel management if possible). Hotels are personal. Top Housing has the feeling and knowledge to design and deliver just the facility you have in mind. Top Housing started business back in the early seventies, providing prefab houses and living quarters to a major international company in Nigeria. The latest building methods are adhered to, and we can meet most international codes and standards. We offer high quality building materials and equipment, sourced with the global market in mind. This means that we can offer the best possible buys, by steadily seeking new purchasing channels whilst monitoring current suppliers. Ours is a one-stop-shop. Apart from the actual house, we provide complete internal furnishings, domestic appliances and equipment. Our customized designs are much appreciated by our clients as we can adapt to most requirements. We care for the environment, and make thorough investigations into prevailing local demands before coming up with practical and cost-effective solutions. The workstations, conference facilities and pantries are delivered complete, and no item is too inconsequential. Pens and paper, filing devices and archives are all supplied on request. Technical specialists on site during erection ensure that the appropriate data and telecommunications are installed, and that cabling etc is prepared for connection to local grids. The Top Housing building systems can be adapted almost indefinitely. The very flexible design and diversified methods of erection allow us to mix styles, standards and materials to suit almost any taste or preference. We boast several hundred successful undertakings of all kinds, from minor equipment or furniture deliveries to major construction projects. Nothing is impossible at Top Housing.